At the end of the nineteenth century, the first world expositions exposed designers to the art of many other cultures. Encyclopedias of ornament were published, vastly expanding the motifs available to the decorative artist. Rather than using this new found knowledge for reproductions or revivals, the artist of the time absorbed it and used it in fresh new ways. At the same time, a rising tide of industrialization threatened to sweep away traditional hand craftsmanship. The American Arts and Crafts Movement and similar movements in Europe tied the new creativity to craftsmanship and the continuity of vernacular traditions. British Arts and Crafts looked to the medieval past. Charles Rennie Mackintosh and the Glascow School connected to Celtic roots. French and Belgian Art Nouveau used nature as a sourcebook. German Jugendstil used folk art. The Viennese Secession adopted geometric, architectonic motifs. Spanish Modernismo built on the Moorish tradition. Frank Lloyd Wright and Greene and Greene were inspired by Japanese art and architecture. Islamic art incorporates influences from all parts of the vast Islamic world. Motifs and techniques from Celtic and Visigothic Spain in the west, Byzantium in the middle east, China and India in the east, and Arabian nomadic art are combined using a rigorous set of design principles. Architectural decoration is given a coherence with the use of the "never ending line", the "ever expanding field", and the "arabesque". We find these principles extremely useful in our own work, whether we're using typically Islamic elements or not. Tile design has been taken to the highest state of development by artists working in the Islamic world. The references to the nomad tent in Islamic architecture also resonate with us. Our tile is often conceived in a way that invokes a "textile" feel. Totten Tileworks' original designs combine these wide ranging influences with the complex, variegated glazes that began to be developed during the American Arts and Crafts Movement. Wherever our tile is installed it invariably looks as if it has always been there. 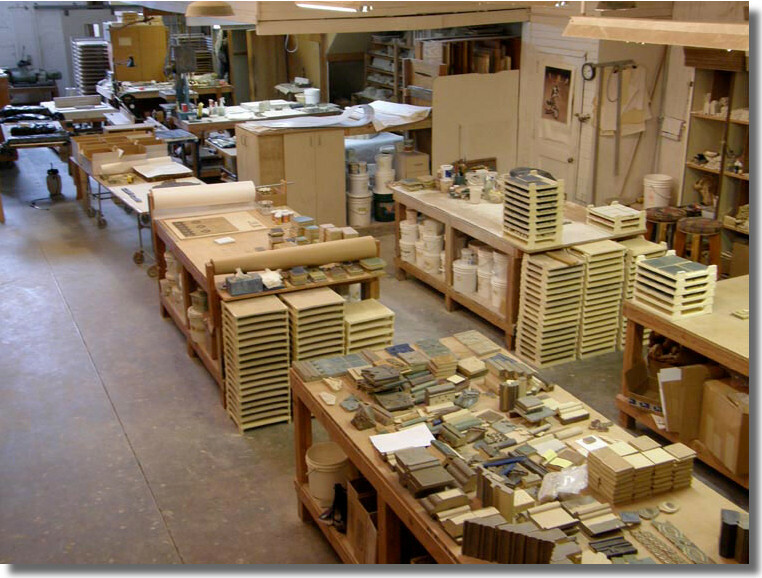 The following is reproduced from the Tile Heritage Foundation's March/April 2009 Newsletter. As we described in February's E-News, Tiles on the I-5 Part II, Interstate I-5 bisects the westernmost states from Mexico to the Canadian border serving as a conduit of industry and commerce, of which tile making is an integral part. In Part II we shared a narrative of our travels in Oregon last fall. Now in Part III we cover our trip through the State of Washington, our intended destination. The impetus for the journey was an invitation from Artisan Tile Northwest in Seattle to participate in the group's third annual Handmade Tile Festival in early October. Crossing the Columbia River we entered Washington seeking the township of Winlock, a few miles west of I-5, about an hour's drive north of the border. 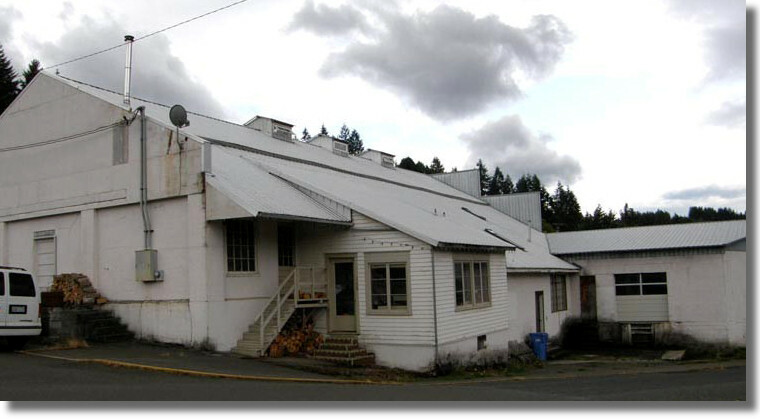 Our destination was Totten Tileworks, practically legendary in the Northwest as a quintessential art tile studio in the Arts and Crafts tradition. We found it easily enough–once we reached the active, sometimes thundering, railroad–in a renovated old creamery adjacent to the tracks. 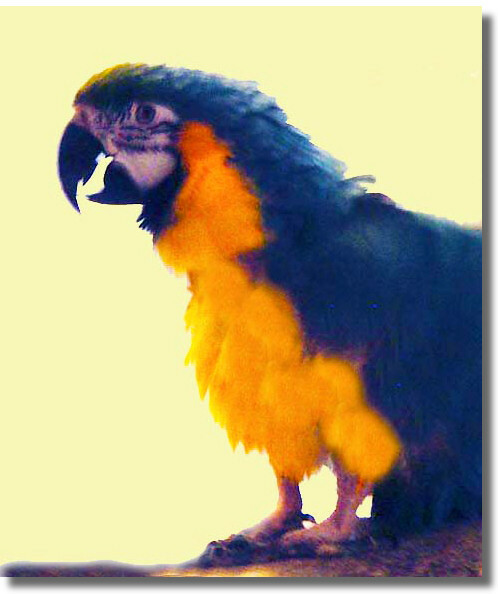 We were greeted warmly by ceramic artist, Chuck Totten, and his two assistants: Marsha, the mainstay of production, and Howie, a twenty-six year old blue and gold Macaw, orchestra maestro for the entire studio! With Howie as our enthusiastic guide, we toured the rambling studio spaces, observing all the works in progress, photographing the surroundings. There were many nooks and crannies, hidden rooms, and a delightfully wild garden featuring bamboo and natural flowing water out back. Chuck's own home is incorporated at a different level in the old buildings, where he treated us to a tasty lunch. 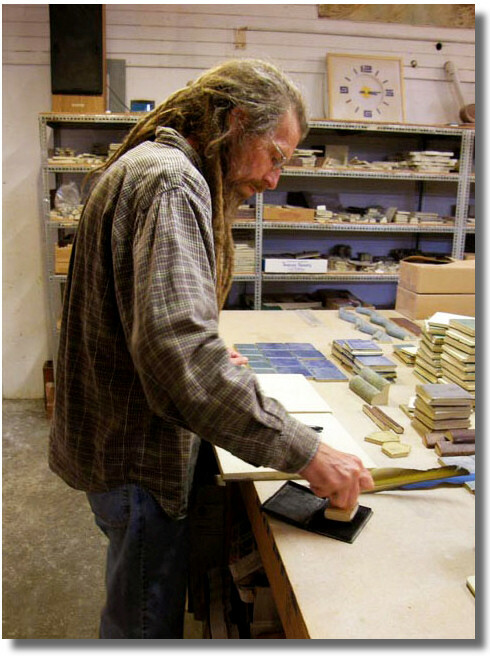 Since the inception of the studio in the late 1980s Chuck's focus has been in the design and production of handmade tile and architectural ceramics in the Arts and Crafts tradition. Inspired by the craftsmanship of this earlier time, he has masterfully preserved it in the execution of his own work–intricately carved designs and textures, subtle, soft and glowing glazes that upon installation inspire one to think of fine textiles rather than hard surfaces. Although his tiles can be found in some showrooms, Chuck specializes in designing site-specific installations. Take a tour of the installation gallery and sample boards at the website for an enhanced view of the breadth of his ceramic art: www.tottentileworks.com.